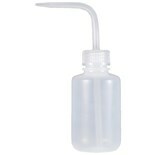 FD2 Precision Fluid Dispensing Bottle with 20 Gauge Tip, 2 oz. Currently 1,327 in stock. Ships same day if ordered by 5 p.m. Eastern Time. 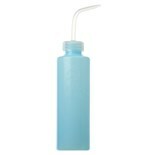 R & R Lotion FD-2-ESD ESD-Safe Flux Bottle, 20-gauge tip, 2 oz. 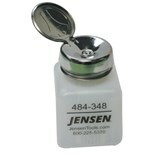 Currently 417 in stock. Ships same day if ordered by 5 p.m. Eastern Time. 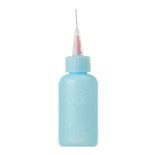 R & R Lotion FD-1-ESD ESD-Safe Flux Bottle, 26-gauge tip, 2 oz. 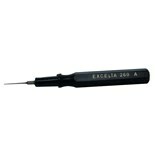 Currently 252 in stock. Ships same day if ordered by 5 p.m. Eastern Time. 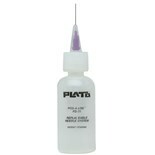 Plato FD-2 Standard Flux Dispenser Bottle 2 oz., Needle I.D. .020"
Currently 141 in stock. Ships same day if ordered by 5 p.m. Eastern Time. 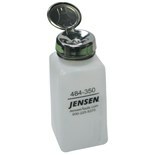 Jensen Tools 35309 HDPE Dispensing Bottle w/ One-Touch Pump, 6 oz. Currently 1,083 in stock. Ships same day if ordered by 5 p.m. Eastern Time. 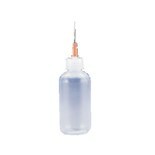 Plato FD-21 Standard Flux Dispenser Bottle 2 oz., Needle I.D .010"
Menda 35283 Static Dissipative durAstatic™ One-Touch Dispenser Bottle, Blue, 6 oz. Currently 298 in stock. Ships same day if ordered by 5 p.m. Eastern Time. 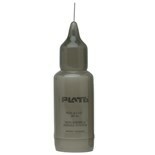 Plato SF-02 ESD-Safe Flux Dispenser Bottle 2 oz., Needle I.D .020"
R & R Lotion WB-8-ESD ESD-Safe Water/Solvent Bottle, 8 oz. Currently 87 in stock. Ships same day if ordered by 5 p.m. Eastern Time. 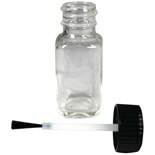 Plato SF-01 ESD-Safe Flux Dispenser Bottle 2 oz., Needle I.D .010"
Only 86 left in stock. No more will be available. 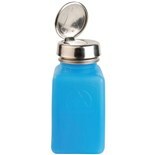 CB80 Wash Bottle, 8 oz. Currently 199 in stock. Ships same day if ordered by 5 p.m. Eastern Time. 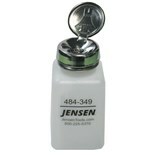 Jensen Tools 35610-JT ESD-Safe durAstatic™ FLUX Dispensing Bottle with 3 Needle Tips, 2 oz. Currently 1,270 in stock. Ships same day if ordered by 5 p.m. Eastern Time. 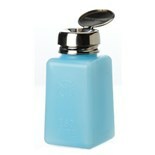 R & R Lotion WHB-16-ESD ESD-Safe Water/Solvent with Angled Spout, 16 oz. Currently 105 in stock. Ships same day if ordered by 5 p.m. Eastern Time. 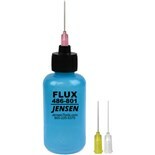 Currently 496 in stock. Ships same day if ordered by 5 p.m. Eastern Time. Currently 182 in stock. Ships same day if ordered by 5 p.m. Eastern Time. 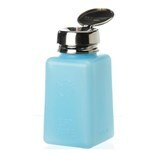 R & R Lotion WHB-8-ESD ESD-Safe Water/Solvent with Angled Spout, 8 oz. 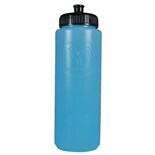 R & R Lotion SB-32-ESD ESD-Safe Sports Water Bottle with Pull/Push Cap, 32 oz. Currently 140 in stock. Ships same day if ordered by 5 p.m. Eastern Time.